Kriti Vaidya from Anti-Slavery partners CWISH Nepal on their crucial work supporting girls in becoming resilient to trafficking. 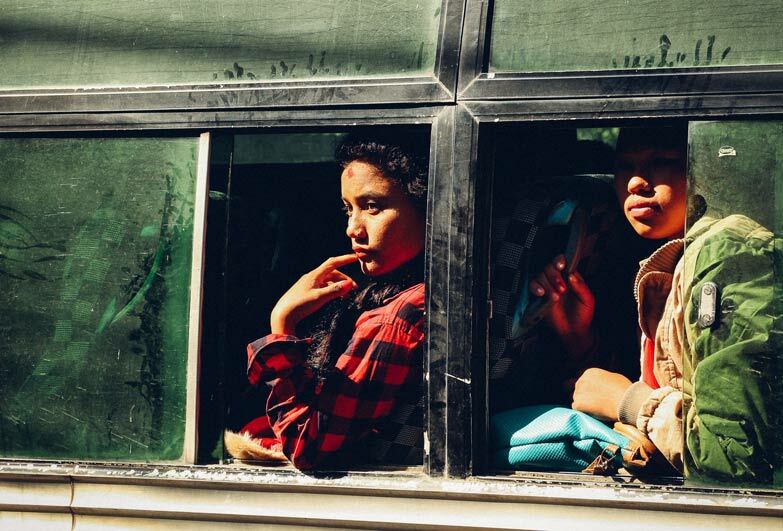 Girls on a bus leaving Pokhara, Nepal. Many girls make the journey into the unknown to big cities in search of better opportunities. Photo: Terry Boynton on Unsplash. After the 2015 devastating earthquake in Nepal, trafficking increased as traffickers took advantage of instability for their own profits. Vulnerable girls and young women, desperate to secure a good future for themselves or their children, have been targeted and lured with risky employment offers both within Nepal and overseas. CWISH teamed up with Anti-Slavery and SASANE to prevent trafficking and create a holistic response to the problem. The most effective way of preventing trafficking is raising awareness about it and empowering girls to become resilient to traffickers trying to take advantage of them. We work in earthquake affected districts where trafficking has been rife. Our awareness sessions are targeted at two groups of girls: those who attend school and those who have already left. Whilst it is not difficult to organise sessions in schools, it can be challenging to gather participants for two-hour community meetings, when most girls are busy with household chores or farming or working earning money. We combine work with local authorities, youth clubs and women’s groups, with targeted home visits to invite the girls to these meetings. 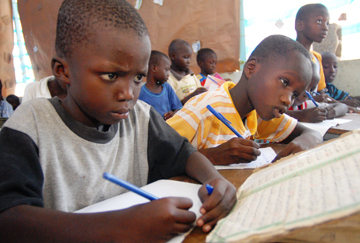 The sessions focus on active participation, as well as on literacy and empowerment of the participating girls. With time, most participants appreciate the significance of the session and often bring others to them. It is known that high-risk groups for trafficking are those with a history of abuse, dysfunctional family situations and minimal social support. So it was concerning, though unsurprising, during the sessions to learn about the prevalence of sexual abuse, domestic violence, alcoholism, polygamy and child marriage in the communities. Some of the girls spoke of other girls from their community who were coming back from the capital Kathmandu with stories of earning plenty of money. They spoke of their desire to follow the same path, however, it soon became apparent that they were unaware of the details of the jobs they were to undertake. Since the start of the project this year, we are seeing the first signs of our work bearing fruit not only at the sessions, but far beyond them. 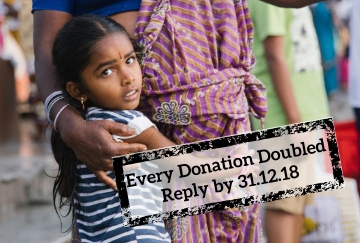 For example, thanks to our project we identified and then coordinated the return home of a girl who was brought to Kathmandu at the age of seven. She has now been successfully reintegrated with her family after almost eleven years apart. It was also great to learn how one of the girls participating in our sessions managed to protect her young cousin from running away with a man whom she had known only for a few weeks. Through a series of home visits and securing additional support from the local authorities, we also successfully convinced the parents of two young girls to send their daughters back to school. Of course, not all girls are interested in going back to school, as securing immediate income for them and their families is often much more pressing. But we see the participants growing in confidence and using these sessions as a platform to openly convey their problems, feelings and opinions. We hope that whole communities will be more adept at recognising trafficking risks and responding to them with increased awareness and conviction.